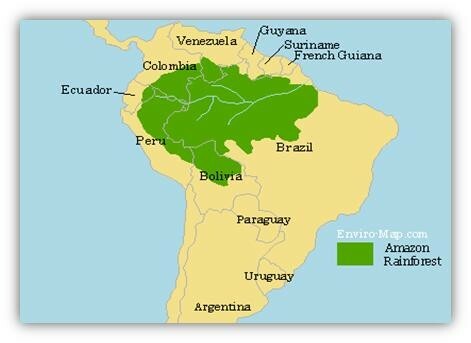 The Amazon Rainforest more than half of the rainforest is located in Brazil and the rest is located in countries in North America as seen on the picture beside. Considering it is a rainforest, the Amazon Rainforest is surprisingly 5 million and 500 thousand squared metres. The Kapok tree is the largest tree out of all the other trees in the Amazon rainforest. This tree grows up too 200 feet tall! The tree is home to many creatures who dwell in the Amazon Rainforest. It includes insects, birds and even frogs! The tree is deciduous, meaning it sheds it leaves anually but the Kapok tree sheds it's leaves during the dry seasons. Bats many come to the tree. You may ask 'why? ', this is because of how the flowers on the tree smell. 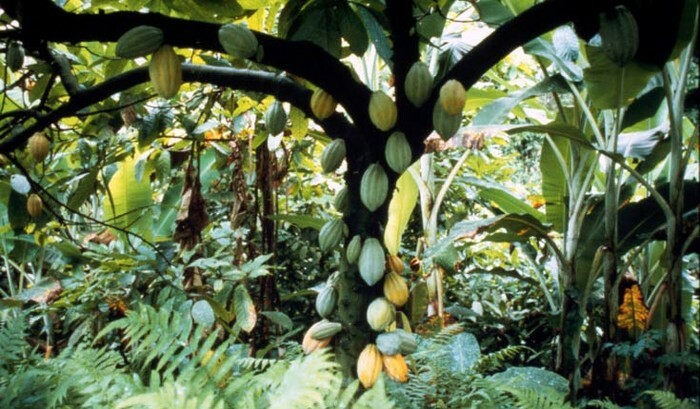 The Cacao tree is pretty special, as without it we wouldn't have chocolate (which is pretty terrible, no chocolate)! The seeds from this tree are cocoa beans, with the cocoa beans it is then used to make chocolate. The cocoa beans grows in a pod, the pod can grow up to about 25 cm long!! The Anaconda is found in the Amazon Rainforest. 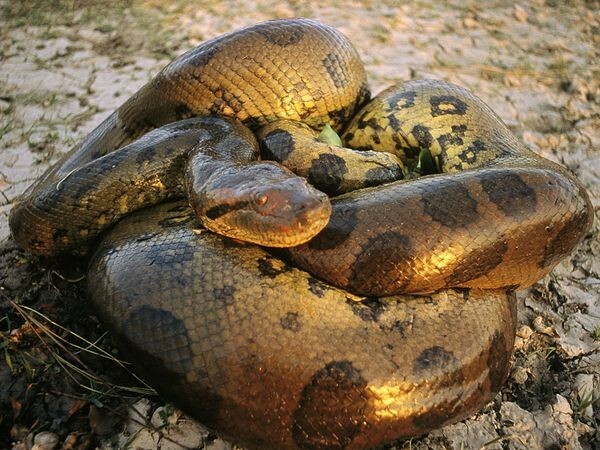 The Anaconda's found in the Amazon Rainforest is can grow up to 37 feet long. Every year the anaconda gets longer and longer. To hide from it's prey, the anaconda can go underwater and stay for about 45 minutes. But it's biggest prey are humans, since they kill snakes for their skin. 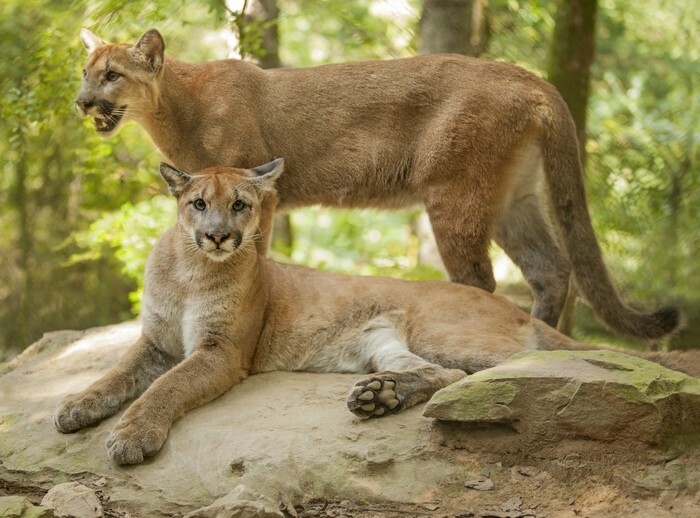 Cougar's are similiar to Puma as a Puma is a species in Felidae that contains the breed of Cougar. It is a mountain lion. The cougar will eat any animals that it sees, from small insects to deers. 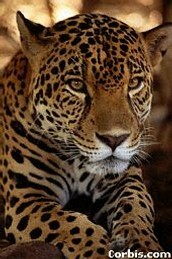 A jaguar is usually confused with a leopard, jaguars have shorter legs and tail then the leopard. 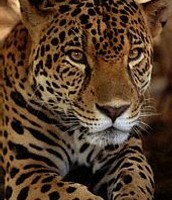 Their spots are different, a Jaguar has spots which surround a spot, while the cheetah has random spots .With one bite from the jaguar, the prey will be dead. This animal lives in swampy areas, mainly near rivers and lakes. The Amazon Rainforest is the home to 2 and a half million species of insects! The trees are so tightly packed that it can take 10 minutes for the rain to reach the ground below. Since lots of tribes cut off from each other, they have their unique histories with genetics (DNA and such). Researchers can trace back thousands of years when americas first colonizers split off into different groups. -In 2005 and 2010 the Amazon rainforest suffered through droughts, because of that it killed large amounts of vegetation in the worst affected areas. 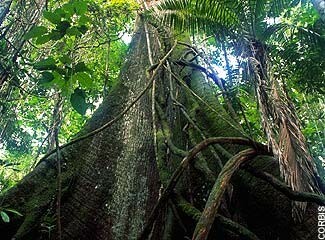 -The rainforest is endangered due to deforestation. 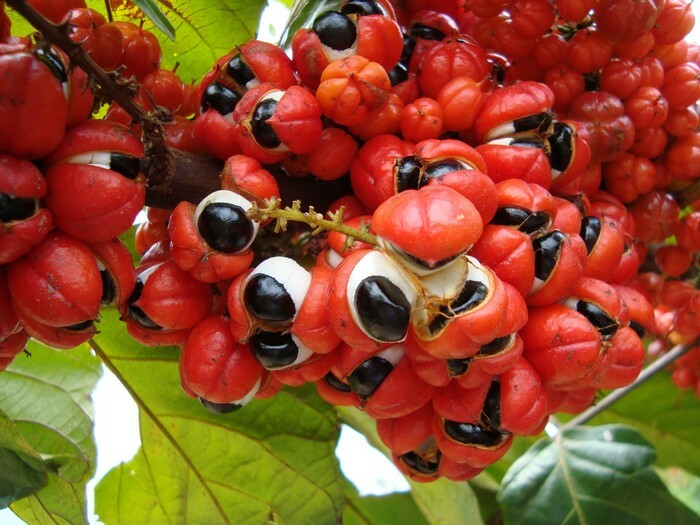 -About 3000 fruits that grow at the Amazon Rainforest is edible. The Amazon Rainforest is really important because, without the Amazon Rainforest most of the species that are found in the rainforest wouldn't even exist!